Announcing ESOR Publications new release: Modest Mussorgsky's tone poem, Night on Bald Mountain, transcribed for Ten Violas. The score and parts will be available for the first time at the American Viola Society Festival, June 13, in Los Angeles (just in time for Halloween, if you start practicing now). 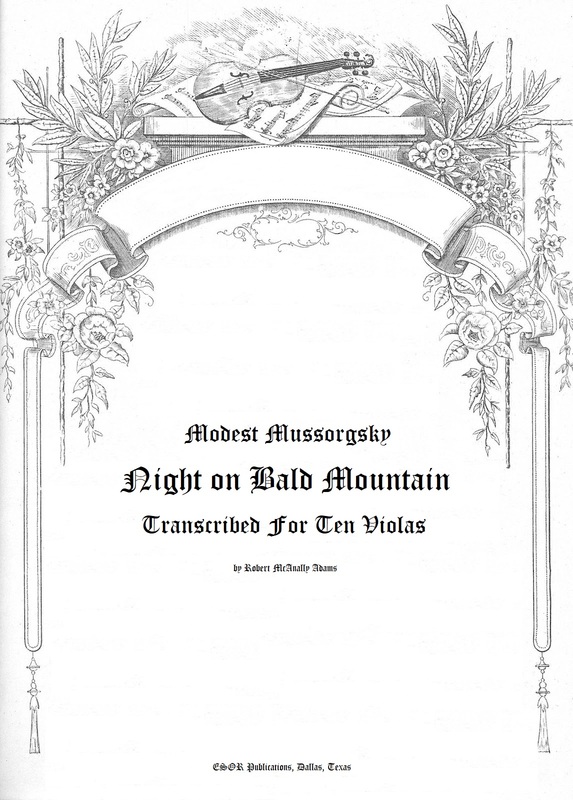 The exclusive dealer for Night on Bald Mountain, transcribed for Ten Violas, is Yesterday Service Sheet Music, Inc., of Somerville MA, Rob Bethel, proprietor. See his display in the AVS Exhibits section. Publication set for June 13.